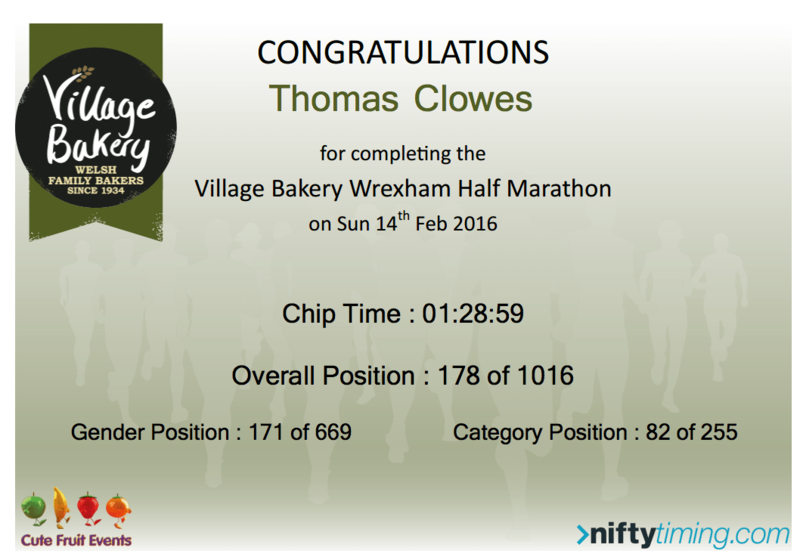 The Village Bakery Wrexham Half was held on the 14th February 2016 in Wrexham, Wales. It was my second half marathon, and I finished it in 1:28:59. 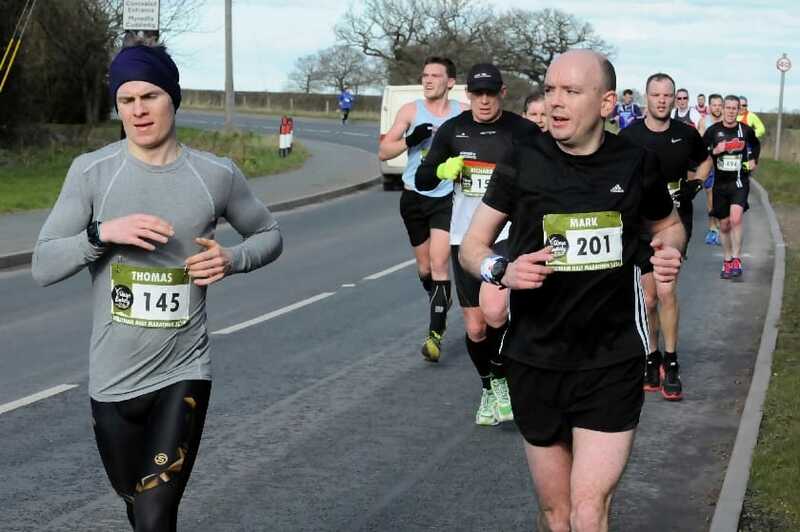 Following on from the Essar Four Villages Half I had continued to follow my own interpretation of Hal Higdon's Advanced Marathon 2. I had tapered for two weeks prior to the race which essentially amounted to running 3-4 miles every alternate day. Fortunately for me the race was held at a location relatively close to my family home (~50 minutes drive). As such I was able to stay at home the night before and persuade my father to drive me to the race the following morning. This removed one potential stressor from the build up. The day before I made a foolish mistake - I binged heavily on cereal (and milk). Not only that, but I did it late at night. I had around four large bowls of cereal which I did not allow my body sufficient time to digest. As a result when i woke up the following morning I was still bloated with milk, and felt sick. On the drive to the race I managed to stomach a nutri-grain bar but nothing more. I did not warm up due to feeling sick. To be honest I probably shouldn't have run the race at all, but the fact I had been training hard and my upcoming marathon meant that I wanted to try regardless. My tactics for this race were simple. Get around. There were no pacers, and I was not targeting a pace. In an ideal world I'd beat my PB but I didn't at any point think that this was going to be the day. The first five miles is a loop around an industrial state which ends with you going past the start/finish line. My father and younger brother were watching here, and I let out an audible groan as I ran past. My stomach was full of fluid, I felt bloated, and as a result I was in pain/discomfort the whole time. It crossed my mind stopping at this point and calling it a learning experience but I was too stubborn to give up. I felt like I was trudging along for the whole race.. doing the bare minimum to get around. Whilst the latter half of the race was down country rounds and included a number of fantastic views I couldn't really appreciate them as I was having to utilise all my mental resolve to keep going. At a few points people slowly edged past me and I couldn't help but think that on a good day these would be the people I was keeping up with.. It was a well organised race and the weather was fantastic. At the end of the race I got given some 'Welsh Cakes' which it turns out taste absolutely amazing ! Some people were being given crumpets.. but who wants crumpets when you can have Welsh Cakes?! 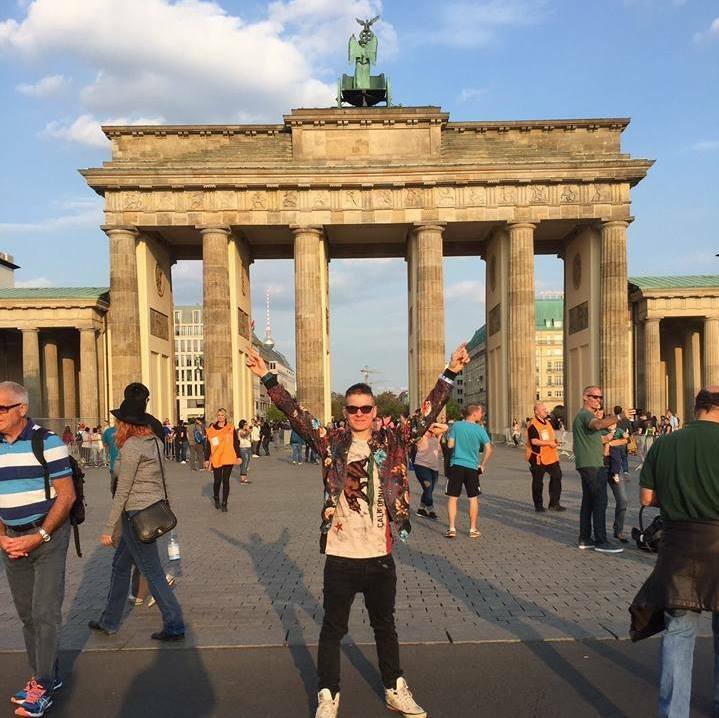 To be honest, I was happy (and surprised) with my time given the circumstances. The biggest takeaway for me was not to binge the night before a race. More specifically don't binge on dairy the night before a race.